part where you MANAGE your FINANCES. 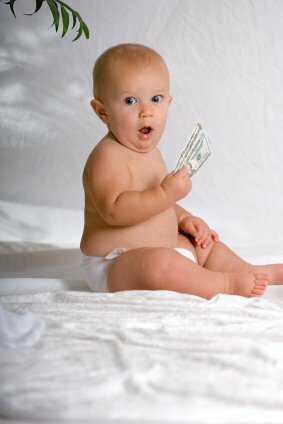 As the baby grows old, costs and expenses are getting above the ceiling if you don’t get to know and learn the smart ways of budgeting baby expenses. Raising a child – and by all means in a good way like you wanted the BEST of everything you could offer – is one of the BIG RESPONSIBILITIES of parents. I know for a fact that we have our own ways of settling the finances and talking the $$$$ out. But I want to share with you how my husband and I manage it and what we are doing in facing up to the CHALLENGES ahead. Check your health care provider about your employee benefits program. I actually stopped working early when I was at 32 weeks due to my pregnancy complications condition. So, what I did is I checked with my employer’s health insurance if I am covered with Disability Benefits. I don’t want to say it, fortunately, but yes, I am covered with short-term disability maximum of 6 weeks. It’s like I’m still getting paid by the insurance half of my total monthly income. I don’t mean you to get sick and collect the health benefits but what I’m trying to say is, if it happens that you’re like me who cannot be able to go to work anymore due to pregnancy, you might as well check with your employer and see what is included in your employee benefits program. You might want to ask health coverage for medicines, monthly checkups, hospital rooms, blood routine, etc. Some will be fully covered while some will be discounted. It is much better if you know it ahead of time. Review your spending and cut back expenses to cope with the baby costs. Now that we are earning less than a household but have extra costs, something’s got to give whether it is Friday night takeaway, new cell phone or TV. Both of you should agree not to buy anything above the set limit and don’t keep any financial secrets ever. Set some ground rules and start discussing the challenges before you start worrying or arguing. Understand the maternity, paternity state benefits, and allowances being given on the country you live in. For example, I am located here in Canada, and lucky enough to be eligible for a total of 52 weeks of Employment Insurance (EI) maternity and paternity benefits. My son is also receiving Child Tax Benefits (CTB) and Universal Child Care Benefits (UCCB). Make sure you are aware of how to be eligible, how many premiums or working hours you should have, payment scheme, requirements to submit etc. Knowing how much you will get from these will help you as a couple to manage your finances well by sharing responsibilities like who’s in charge of paying the monthly rent, weekly grocery, baby essentials like diaper, milk, wipes, etc. Have a family budget planner. Spend your money on the things your baby need and think how you would use it, for how long, the importance, etc. Do not immediately go out and buy loads of stuff like nappies, creams, wipes and don’t stockpile baby clothes as they grow out of them so quickly. Have your own list of your baby essentials before buying. Buying second-hand can’t be too bad. You can save a lot of money by doing this. Just make sure that if you buy those baby items like a car seat, crib, stroller on second-hand you know their quality if it conforms according to safety requirements and you should only buy from the person you know and trust. Make the most out of mom and baby freebies. I signed up for all baby clubs like Similac, Nestle, and Enfamil, Pampers, Huggies and personally, I can attest that I received newborn baby items, milk, discount coupons, baby food and nappies which in a way have been helping me so much with my son’s baby supplies. So don’t fret out thinking it is not true because they actually give baby samples and freebies. Besides, there is no harm in doing it. Look after social media sites that have baby and mom groups. Yes, you heard me right, social media can help you save a lot of money. Search within your area if you have groups offering free baby and mom stuff. Believe me, others can be generous enough to help and give back to other parents. There are also pages and groups with buy and sell items for a low price or even trade and swap. Also, don’t be afraid to ask family and friends if they have spare baby things. You will probably find that most people are happy to see it being used again. Hang on to the boxes let’s say if you have bought your baby registry, don’t take the labels off so you can easily re-sell the item. And believe me; you will be surprised that you will find some of those items such as baby clothes that were not even used by your baby. You can post it in buy and sell groups I mentioned above or any credible classified site. Just make sure you won’t really need them so you won’t end up buying it again. Make a careful and wise decision to invest part of your baby’s savings in education plan, tax-free savings plan, to ensure his future covered. The early you start investing, the greater the returns which are imperative in making investments. It can also serve as a backup plan wherein some accounts like RESPs in Canada which the couple can use for mortgage (if ever the child doesn’t want to pursue college – but I really hope that’s NOT gonna happen!) or the child can use to buy books and other schools miscellaneous while he/she is studying. Working versus stay at home parent. Both parties must agree on this part. I suggest that you carefully review your finances and find out what your monthly budget will look like with only one income. On our part, we have both decided that I stay at home and take care of our baby since we consider that childcare costs here are expensive for low-wage income. But I have found better ways to make our ends meet through legit online jobs and AFFILIATE MARKETING. This way I enjoy being with my son at home, I can look after him while working in the convenience of our own home. On the other hand, if you both plan to go to work, prepare a new budget and include child care and related expenses. Set some rules with your partner when doing the money $$$ talk. It’s all about talking and agreeing. Always remember the do’s and don’ts. Let us start with the do’s. Do set a time in talking about money like are there big expenses coming up or reviewing your bank accounts together, do respect and understand attitude of your partner towards money (may it be big spender or savers), and do view money as a means to an end to bring your family closer together and feel secured. Don’ts include; don’t avoid talking or keeping secrets about money until it is too late, don’t talk about money issues while angry and don’t talk it all the time! Remember to adjust your tax withholding to reflect a dependent child as this will give you a larger paycheck to help pay baby expenses. Set yourselves CLEAR financial goals. We are all better at doing things when we have some things to aim for like securing our family’s future whether using spare cash for an emergency fund or putting money on a pension plan. Sit down with your partner, have a tete-a-tete, and plan for the things that are important to your family. Do you have other ways of saving baby expenses? Feel free to add in the comments section below. Im not a Mom at all, but I am a father of two and found lots of the information you have on your site to be quite beneficial. After reading two of your articles I knew I had to bookmark your site so the wife can read some of this when she get home too! Great work and Thank You for compiling all of this useful information in user friendly manner! Thank you for finding the articles very helpful, it is my pleasure to share what I learn like you said as Super Mom. I am a first time mom and learning a lot as well having my baby around so that’s been one of my goals in creating this site. I really hope to pass along all the learnings and thank you for following as well. What a great list of tips to help Moms with their baby budgets. They will save a lot of money by following a lot of the suggestions you have provide here. Really well done! Thanks Peter! I really think that this is one of the struggles especially among first time parents like me so better to have ways of budgeting and be money wise! Having a baby is pretty expensive yes, and I also made the mistake of buying too much in the beginning. I also got a lot of stuff at my baby shower which also helped a lot. I think the one thing you could stock pile on is nappies. That is the one thing that you are going to use a lot of. I absolutely agree with you Michel! Thanks for the comment. Great advice! Budgeting baby expenses is very important for our family, especially now when we are expecting our second one. In addition to all you mentioned above, we save an enormous amount of money by borrowing stuff from relatives and friends that have older children. Then, we pass what is still in a good shape to other friends. We help each other a lot, because baby stuff like a bed, baby carriage, etc., are usually expensive but used only for a while. Wow! Baby on the way?! Congratulations! That is one good example on how to save money from baby expenses. Maximizing use of those baby stuff from friends and relatives. It is never too much to ask and people can be happy seeing those things they don’t need tend to get some great value to others. Helping one another really goes a long way. Make sure car seat is not expired and still meeting the standards of safety. I found this article so helpful. I stopped working (laid off) when I was 9 months pregnant with my second baby. Going from a two income household to a one income household, is very difficult! I am so interested in checking out the app you shared for budget planning. I need to organize and budget each month. It really takes the pressure off. You give so many great tips in this article! I especially like the sections on finance and speaking with your spouse. And can I just add that I am very jealous of your countries 52-week benefits! I wish we had that here in the States. I was lucky with my first baby to work for a company who provide wonderful maternity leave benefits. But many are not so lucky and have to return right away to work. I will be bookmarking this to look at it later! Great article! I had a both my children here in the USA and it would have been great if I had managed my affairs back then as your article suggests. Hindsight is always 20/20 and I cannot change what was done but I am happy to see a site like yours as so many new parents are on the internet for advice these days. How great that you had 52 weeks unemployment to do the most important job of your life! The USA can go that route and here’s hoping we will! Guess I’m really so lucky to have the 52-weeks EI leave opportunity. I really hope other countries as well can follow that as child’s early years are very crucial. Thanks for stopping by! Great advice! My husband and I budget everything. I feel like people are scared of the word budget. But once you start doing it, it’s almost like you’ve given yourself a raise. I love it. No more living pay check to pay check! ANd I’m totally on board with the “buying second hand”. I don’t ever buy my kids new clothes. I go to the second hand store that only sells kids clothes and get everything from there. THey wear their clothes and shoes for such a short period of time, it seems ridiculous to always buy new stuff! Great article! I have been doing what you suggested from before my baby was born. I asked for the baby shower gifts things that we will need. Diapers, baby clothes, baby bouncer, bottles, and everything else that the baby will need. Of course, not all our friends and relatives would buy those things, but some did. They really did help us. I have not been buying things for myself since the baby arrived. I love her so much that I didn’t realize that I have not spend a single dime on myself. We love to dress her. This is great. Me and my wife just had our first child two months ago. I will say that babies are cute and loving all that fun stuff. But they come with a hefty price tag. I will be sure to bookmark and share your post. You have a lot of great information here. I am glad you find my post valuable to you and your wife. Firsts are the most memorable so I really poured all my heart out in writing this and this is my way of sharing it with parents like you. I wish you all the best and your family! Are you sending your child to Daycare?